I completely geeked out over this website lastnight, to the amusement of my friends. 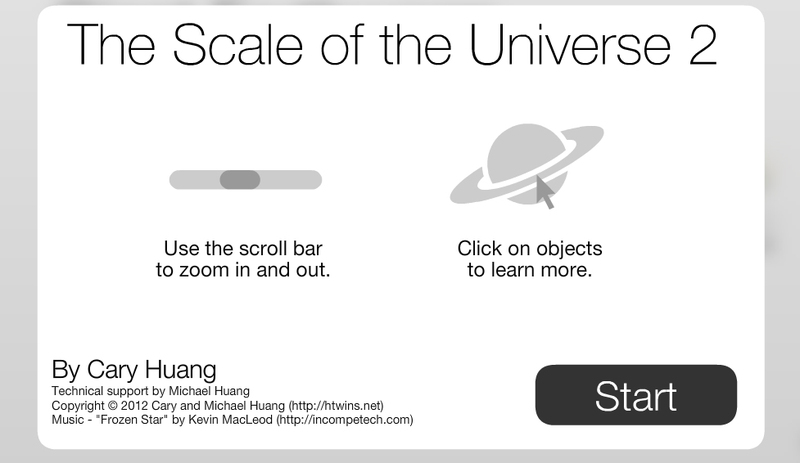 The site is called scale2 and shows the scale of the universe using Flash technology. GREATNESS. An absolutely brilliant teaching tool for parents, god-parents, babysitters, teachers and friends alike. Please take a moment, click on this link and explore it, then share it with your people. I’m gonna share with you one of my favorite artists and songs, for some reason whenever I hear this song I actually visualise being in a startship and heading straight to the moon. Click play and let it take you where ever you want. This entry was posted in Uncategorized by Faith In Geeks. Bookmark the permalink.